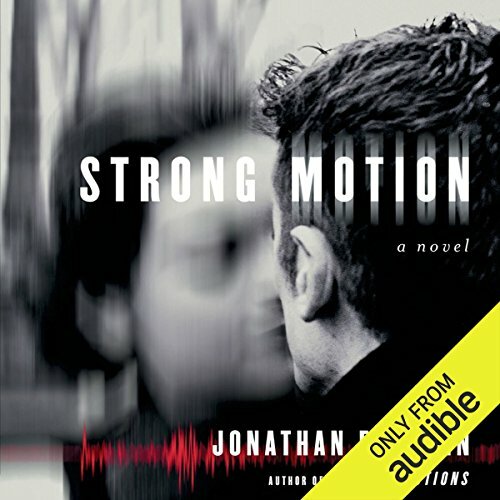 ©1992 Jonathan Franzen (P)2013 Audible, Inc.
What did you like best about Strong Motion? What did you like least? This one was a little slow starting for me because all the characters are jerks, but once the earthquakes started, I was hooked. I particularly liked the character of Rene, who humanizes Louis and makes me like him more. 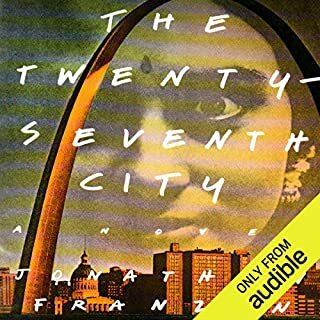 The audiobook narrator, however, I did not enjoy. First of all, apparently he thinks the best way to convey a female voice is to become grating, nasal, and lispy. Some of the female characters sounded like Beavis and Butthead. Seriously. Bad.What's more, the narrator constantly mispronounces things, from words like "hegemony" to place names. I can almost forgive the place names, as we here in Massachusetts do pronounce things in unlikely ways, but the actual words, those are less forgivable. But back to the place names, why would the publisher hire someone to read a book about metro Boston who clearly has no idea about greater Boston? Among the place names mispronounced here: Worcester, Waltham, Peabody, and Copley Square. How hard is it to pronounce Copley Square? What I'm saying is, this narrator did not do his homework. Was Strong Motion worth the listening time? I'm lukewarm on this one. It's a good story, but I often had to cringe and grit my teeth through the narration. Easily as good as "The Corrections"
What made the experience of listening to Strong Motion the most enjoyable? It's an outstanding story, with great character development and an ability to at least explain both sides of several social issues dealt with in a rational and well thought out manner (though the author's actual stance on any such issue is never left to the imagination). 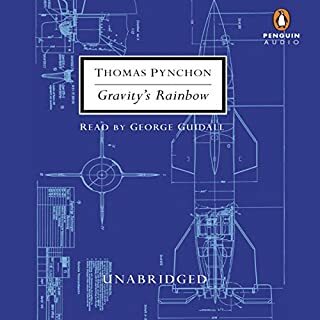 What other book might you compare Strong Motion to and why? Any of Franzen's other novels. It's what he does. His ability to show the proper emotion at the proper times. Well no, but only because it was over 20 hours. 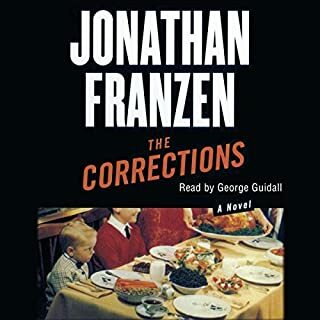 If you liked "The Corrections" give this one a try. 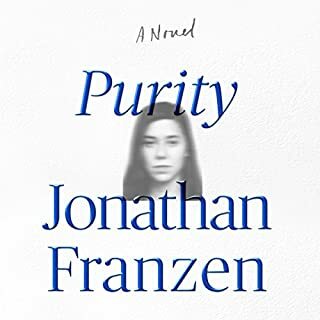 This was a great novel, which certainly follows the Franzen formula evident in his other books, with a few notable differences. 1. Most of the story is told from one point of view where most of his works switch fairly often. 2. The story has a pretty linear AND chronological plot - which is another clear departure. If you liked The Corrections or Freedom you are sure to like this one as well, but I have to admit I enjoyed Freedom far more than this book just due to the subject matter.. Seismology and highly intelligent academics ( a big part of this book) are not in my realm of concern where music and politics are (which are a big part of freedom)..
Less "relationship drama". Some serious editing. Better character development. I love long stories, but this was tedious. He was the only reason I stuck with the story as long as I did. He's a good narrator. There were glimmers and hints of a good story but it was so buried under the emotional minutia I just didn't care any more. I really tried to stick with this. Even though three hours in I didn’t really care about the characters, was even sick to death of them after the first hour. Two page descriptions of a characters’ pronouncement of love for another…? It was like watching an artsy foreign film without subtitles and really bad acting. I just wanted it to stop. There may be a story in there somewhere but I couldn’t waste anymore time trying to get to it. The narration was pretty good. The premise of the story seemed interesting enough. But the execution…not so much. Prepare to suspend your disbelief. I liked the unraveling of the background story with the various members of the family (past and present). Louis. I really did not enter the thinking of the others. Franzen's writing has a satirical quality that never really lets you sympathize completely with his characters. Would you be willing to try another one of Scott Aiello’s performances? 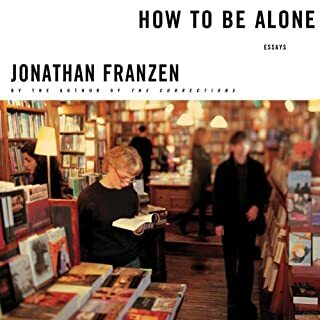 I think his performance was the weakest part of the experience of listening to this book. The sister, who is graduating with a Harvard MBA is made to sound like an insecure, dumb teenager. He mispronounces many of the place names, which is unfortunate. Peabody is pronounced "PEA-buddy" not pea-BODY. Somehow he gets "Nahant" right. The first half of the book is read with a snarky, sardonic tone and he calms down later in the book..
Could you see Strong Motion being made into a movie or a TV series? Who should the stars be? .Not really. I think it would end up feeling like a remake of "A Civil Action"
I enjoy JF's books. I expect them to be long and complex. I thought the whole anti-abortion side story did not add anything to this story. I'm not sure what it had to do with the plot. I did learn about earthquakes and seismology, which I did not expect. The best part of the book was the father talking about his political beliefs. I wish the father had been a much more visible and vocal contributor to the plot. He had some really great insights. What disappointed you about Strong Motion? I made no connection with any of the characters. By being lazy - women don't have effeminate voices and it's Cote D'azur not Cote Du Jour! This is one of the worst books ever - and I just can't believe it's written by the same guy who wrote Freedom and The Corrections. Nothing connects us to these characters and their story is without interest or meaning. 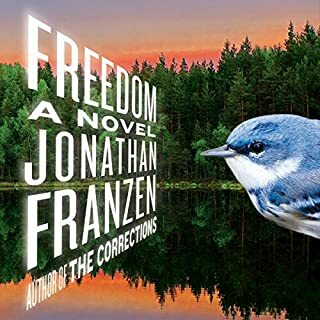 Having written this less than mediocre mess, Franzen has no right to ever criticize another writer! Hope he takes some extended time off on the Cote Du Jour and comes back with stories about real people struggling with real life. A good writer tosses many pepples in a pond in such a way the ripples from all interact and bounce off each other in an entrancing experience that suspends our disbelief and disengages our self conscious suspicions. And also, who occasionally find a larger, round and beautiful stone to hurl into the pond with a SPLASH! !